Every once and a while it is most recommended to do some website housekeeping and maintenance clean up if we want to keep our website healthy, cleaned and in shape. Usually, this process takes quite some time and effort (if you do it yourself) but the benefits worth your attention. Start the clean up from inside out and keep track of any changes in a journal so you won’t repeat the same steps over and over again. Websites grow and change over time, right? 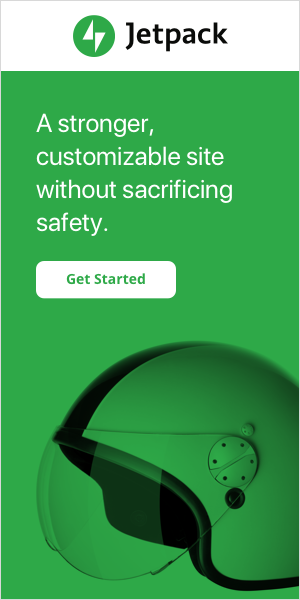 So does the algorithms, the technical requirements, the SEO principles, many safety guidelines and UX design standards. Not to mention that even the content itself may need some refreshment and clean up from broken links or obsolete information. I Keep detailed notes all year long for any small or big changes I have to apply to my websites. When I come across to issues that it’s not possible to solve at that point, this maintenance journal is a time saver. For me, the first 10 days of January are free of any professional obligations so it is a perfect period to clean the mess. When we start a new website, we create new content, we add files and plugins but still is lightweight and has a high speed of response. Gradually, the content and extra material we add, it makes it slower and heavier. In other words, as websites grow in size we must do our very best to keep them tidy and light. That’s why we clean them up! We clean and tidy up websites in order to improve websites for users, readers and creators. Websites are alive and open to changes. It is a process of maturity. Never forget that a clean website is lighter, faster, SEO friendlier and people trust it more! Look at your WordPress backend and examine each plugin carefully. Have you activated it? Are you satisfy with its functionality? Do you prefer another plugin? If your answers were all “Yes” then you should better remove these plugins or old versions of your past WordPress Themes. Why keep these old “clothes” if you don’t use them anymore? 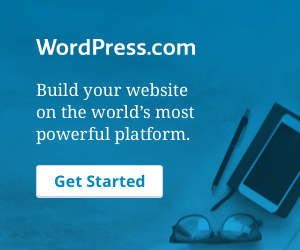 In case you may find this process too stressful then find yourself a professional WordPress Expert and let them take care of all the technical updates while you do all the rest. Old post revisions or too old drafts (more than 2 years) or even files & images that have never been used, should be removed and deleted permanently from your storage room. When we keep extra data they end up to occupy a huge amount of storage and make our website heavy to respond. Same goes with spam comments and content. Just delete them all. Check if you have too many HTTP requests and fix this issue as soon as possible. Speed matters more than you can imagine. Mobile technology has changed the game of interaction with your visitors. Who wants to wait forever for a post to download? Speed isn’t only SEO friendly requirement but is one of the essential factors to provide a satisfactory UX & UI to your visitors, readers, followers. It keeps the attention in high levels! Images and all kinds of visuals should be aligned and must have the right alt text & description according to all SEO guides. Visuals are also keyword sensitive as much as everything else inside your website or blog. You see, search machines are blind and they can “see” how relevant a picture is only if we have described it as carefully as possible. We tell the machines what to look for and how relevant our images are. Make it a habit to optimize (resize extremely large images) all media files according to the latest requirements. And apply all the necessary changes after any major algorithm updates. Isn’t it better to spend an extra half an hour every day than a 2-3 weeks effort at the end of the year? Try to avoid native videos inside your website. They take so much space and downside the speed. Prefer to create your own branded YouTube or Vimeo video channel and use the embed option. Remember to check for any broken links in your past videos. Or if the given information in the videos is obsolete, would be perfect if you could create new & updated videos for the people who actually trust your expertise in your field. Digital technology changes rapidly and we all must do our best to catch up! Everyone has a piece in their closet that although is old and unuseful they can’t throw it away. I am like that, too! Last month, I was looking for resources about inbound marketing in Google. A very old article of mine that it was written but forgotten about this topic, it popped up in front of my eyes. There is was… 1000 words that could send me to Craziness Town was there and making me blush out of shame. Everything throughout the article was wrong in terms of digital marketing latest definitions. It was great for 2011 but not accurate for 2019. What did I do? I bite the bullet and contact the owner of the digital magazine, asked him to permit me to update the article. No one paid me for this, but when you have your signature under an article, stay professional and fix it (if you can). Why? Because is the right thing to do. Check every single piece of content inside your website or blog. Erase stupid or wrong information, update the facts, add new relevant content, delete similar tags and fix any broken links (yes, again). Transform old fashion approach or presentations and make it more today material. Hey, don’t forget to add new and more useful links to your content. People and search machines will adore your content if you keep it fresh and relevant to our time. Your About page, Contact page, Newsletter page, Subscription page, Club page, Workshop page or any other important pages are part of your content. So it is clever to update them often. For me twice a year is fine. But in some cases you may need to refresh it 4 or 5 times per year. For example, last year I had to change my contact information 4 times because I was travelling for longer periods than usual. New factors, change the rules! If you have a group of people working in your team, then it would be wise to make arrangements for having this kind of makeover at least once a year. Stay fresh as a team! You know that you have reached the top only if you have haters that are obsessed with you. You won’t believe how important it is to nail this kind of success. But make good use of their criticism and remarks. Most of the times they see things that actually need improvement. Hear them out and improve! Now open your calendar and schedule your next website clean up! There are so many website & blog owners out there and I am pretty sure that there are some extra clever tips on how to keep our digital assets clean, fast and healthy. Do you want to share your tips? We would love to read your input in the comments section below. Have you written something that our readers would be interested to read? Send it over! Don’t be shy… Pass the wisdom.